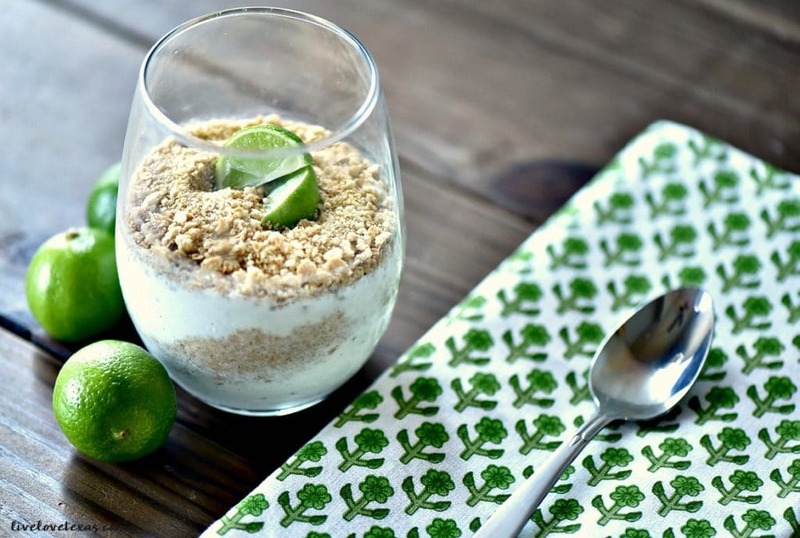 Beat the heat this summer with a taste of the Keys and never leave your house with this Key Lime Pie Ice Cream Parfaits recipe sponsored by Mirum Shopper. There are few things I look forward to quite so intensely as our annual family vacation to the beach. It’s not just the leisurely schedule or relaxing, picture perfect backdrop but the entire experience. Including the food. I’m usually not big on sweets when we’re at home, but visiting the beach always reveals a major weakness of mine. As I’m sure you know from having favorite meals of your own, all key lime pies are not created equally. I’ve spent years tasting key lime pies up and down the beach trying to find my ideal dessert. Two years ago, I finally found it! But I don’t want to wait another year to get a slice of key lime perfection. I want it now. Ready to make whenever the craving strikes. So I’ve spent some time in the kitchen testing recipes until I finally found a winner. The perfect balance of graham cracker crust, to a firm but not hard key lime pie that was tart but not sour, and came together as a perfect dessert. Let me tell you with the arrival of triple digit days here in Austin, the taste of key lime pie is refreshing. With July being National Ice Cream Month, it only made sense to make an already amazing key lime pie taste even better on oppressively hot days by adding a little ice cream to the mix. By using ice cream as opposed to making a pie, I actually used fewer ingredients in the recipe. Only four to be exact. 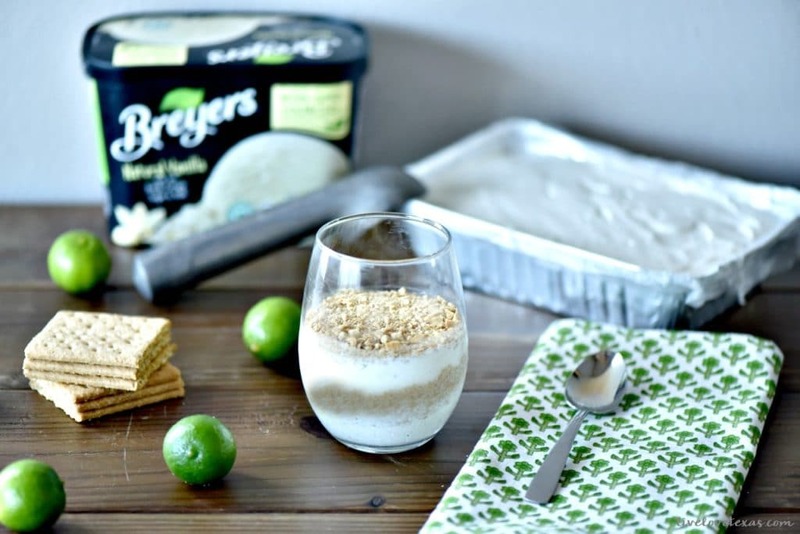 Breyers Natural Vanilla Ice Cream (which is made with high-quality ingredients, like fresh cream, milk, and sugar, and that is non-GMO) limes, key lime juice, and graham crackers! I picked all of the ingredients I needed for my key lime pie ice cream parfaits recipe using Walmart Grocery Pick Up. Being able to shop for the ingredients I need online and then having my groceries delivered to my car without having to pile everyone in and out in this heat, makes shopping so much faster and easier! Not all stores have it, but if it’s available at your store it’s a total game changer! Line metal tin or plastic storage container with plastic wrap and set aside. Add softened Breyers Natural Vanilla Ice Cream, key lime juice, and lime zest to food processor and mix until combined. Pour ice cream mix into prepared container. Cover with an additional piece of plastic wrap and freeze until ice cream firms. From several hours to overnight depending on how firm you'd like the ice cream to be. Crush graham crackers by placing two full graham crackers (or four halves) into plastic storage bag and crushing using a glass drinking cup by rolling it over the bag several times. Once ice cream is at desired firmness, remove top piece of plastic wrap and using a small cookie scoop add to parfait dish (aka stemless wine glass), then cover with layer of crushed graham crackers and then repeat to desired level ending with graham cracker crumbs. Add a little lime zest and some lime wedges to the top to garnish before serving immediately. Repeat process for each parfait. 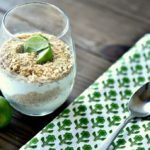 Just in case you think this might be too complicated, check out my Facebook video on how to make key lime pie parfaits! Seriously though, these key lime ice cream parfaits aren’t just for celebrating National Ice Cream Month, they’re perfect for pool parties, BBQs, birthdays, family reunions, and just about any other summer get together! How are you celebrating National Ice Cream Month? 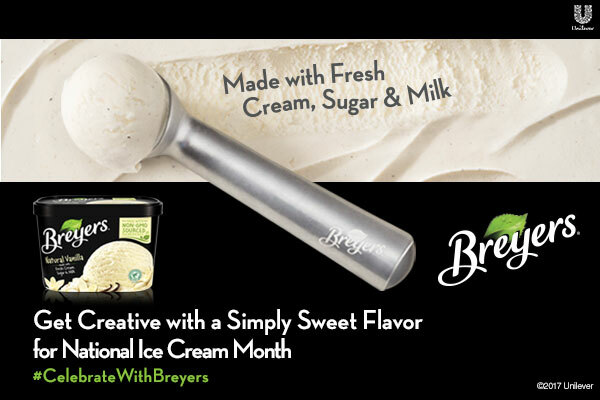 Whether you celebrate the whole month, or just National Ice Cream Day on July 16th the possibilities for creative ice cream treats are endless with Breyers! 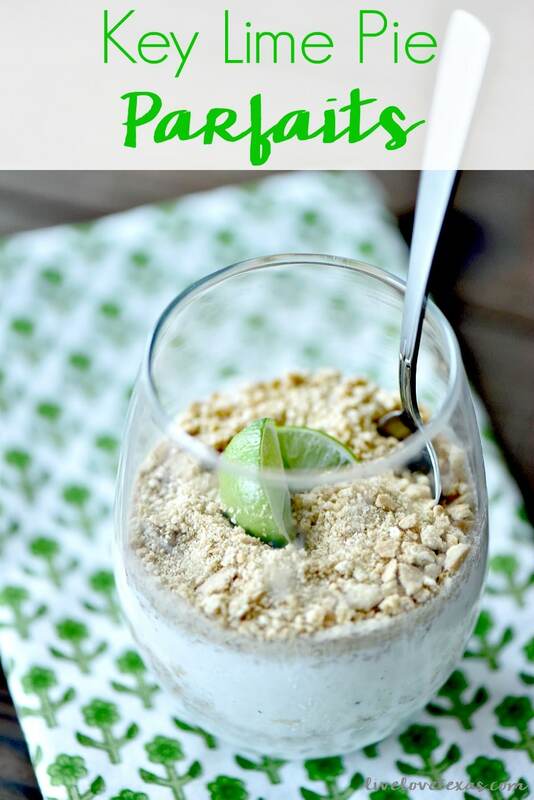 Make your own recipe or recreate this key lime pie ice cream parfaits recipe and share it with your friends. Tag me on social media and I’ll screenshot and reshare your recipes on my social channels!